The Galaxy Xcover 2 is its new ruggedized smartphone, with GPS and GLONASS pitching it directly at the adventurers among us. It's water resistant up to a depth of one meter and can hold its breath for 30 minutes, while a 4-inch WVGA display will beam out Android 4.1. Expect to see the same Motion UI features spotted on other Samsung devices recently, including the ability to overturn and mute incoming calls. 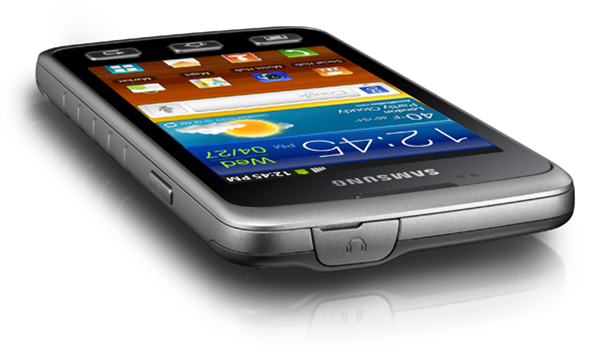 It'll be powered by an as-yet unmentioned 1GHz dual-core processor, while a 5-megapixel camera will peer out the back. There's also physical camera button to ensure you don't miss any of your underwater adventures. Samsung mention that the Xcover 2 will also pack a Cardio trainer Pro workout app, although there doesn't appear to be any hardware additions to augment the fitness program - aside from a strap holder. No word yet on where the phone is expected to land, nor how much the jungle-ready slab might set you back, but we'll be sure to drop it on the ground in Barcelona in a few weeks time. 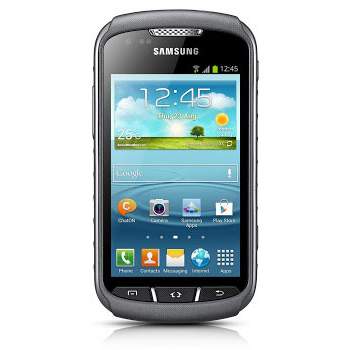 The GALAXY Xcover 2 is optimized to endure against the most rugged outdoor conditions, whether you're at work or play. Protected against the elements, it is dust and sand proof. It's even water resistant to a depth of one meter for up to 30 minutes (IP67 Certified). You can now take photos under water with the direct camera key, hold on tight to your device with the strap holder and not worry about dropping your phone as the battery cover lock gives added protection. Pre-downloaded Google map data, an enhanced GPS ＋ GLONASS which shortens the satellite signal detection by up to 20％ to tracks your location more accurately, LED Flash next to the camera which can be used like a torch and a huge battery capacity of 570 hours(1,700mAh), making the GALAXY Xcover 2 is the best possible smartphone partner for outdoor exploration. In addition, the Cardio Trainer Pro workout application will also help you achieve your fitness goals by creating a tailored training program, checking your progress and recording your track and speed.